With the ubiquity of IoT and development of related platforms, e-commerce has become even more prominent in recent years. To drive consumer purchase intentions, e-commerce companies must devise creative marketing strategies. In Chinese markets, such strategies have been realized in online shopping events such as Alibaba Tmall Double 11 and Double 12, Jingdong 618, Suning 818, Gome 418, Black Friday Shopping Mania, and NetEase Haitao. For 2018, estimates indicate that these events attracted more than 467 million online shoppers and generated approximately US$6 trillion in revenues in China. Besides the wide variety of affordable goods that e-commerce companies offer at such events, it is the quality of their logistics services that is becoming of higher relevance to consumer satisfaction. With immediacy and availability being virtually implicit influences in consumer decisions to purchase their favorite products online (as opposed to making purchases in traditional brick-and-mortar stores), how quickly and conveniently goods can be delivered are thus important considerations made by customers choosing between online shopping platforms. To improve their competitiveness, e-commerce businesses must therefore ensure that their logistics efficiency is high, because in light of this logic, it has a direct and positive influence on consumer purchase behaviors. This customer—a world-leading e-commerce platform from the United States—was looking to secure market share in China. As a customer-centric and service-oriented enterprise, the customer was seeking to improve the consumer experience by shortening delivery times. With order processing times identified as a major bottleneck, the customer's warehouse logistics system required upgrading, part of which was aimed at accommodating automated guided vehicles (AGVs) to assist warehouse staff with shortening order processing times. 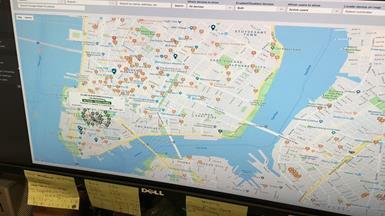 This setup would also allow for a complete analysis of the work process, from order allocation through to delivery. The major benefit of upgrading the superseded computer systems used at the customer's workstations was the increase in the volume of goods handled. To further ensure that efficiency could be maintained under a higher workload, multi-display systems were installed to facilitate workflow monitoring. Given the potential impact of system downtime, a fan-less system was adopted to minimize the risk of system failure due to dust intrusion, which is typical of traditional computers that use a fan (especially in dust-filled warehouse environments). In addition to these low-level hardware upgrades, the customer was advised to upgrade its network backbone to enhance network stability, facilitate the interconnection of individual workstations, and ensure stable data transmission. To meet these requirements, the solution recommended to the customer comprised MIC-7700 industrial PCs, EKI-7710 Ethernet switches, and EKI-6332 Wi-Fi access points. 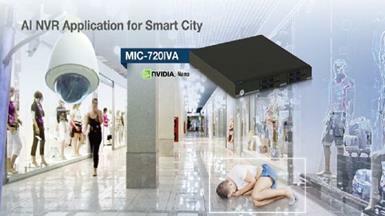 MIC-7700 industrial PCs were installed at each logistics workstation. 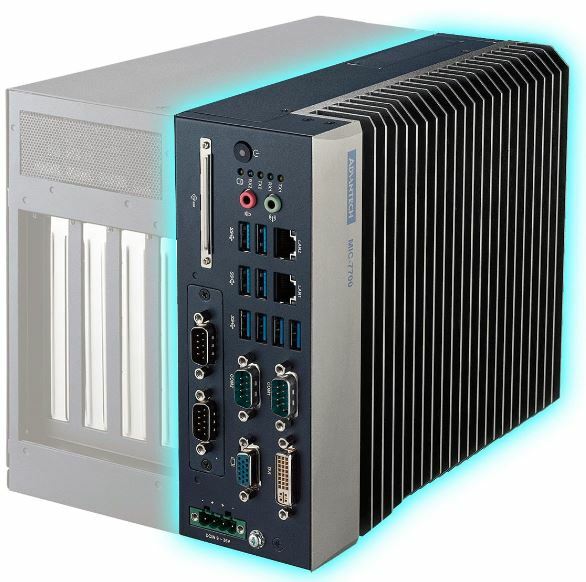 The MIC-7700 was selected because of the high-performance processing it provides for a relatively low-cost desktop PC, and this was particularly pertinent given the overall cost of multiple installations. Its compact and single-wire I/O design also facilitated deployment, while the fan-less configuration and wide operating temperature (-10 to 50°C) will reduce future maintenance efforts and the risk of equipment failure due to dust intrusion or overheating. For future I/O expandability, Advantech's i-Door technology can be utilized to allow for installation of PCIe x20 cabling (1~4 slots). 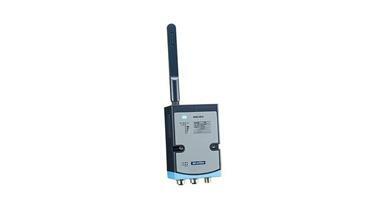 To ensure network stability, EKI-7710 managed industrial Ethernet switches were adopted as the network backbone. Compared with commercial switches, a fiber-optic ring of EKI-7710 switches offers the highest level of stability for warehouse networks, even in the face of potential interference from objects such as metal shelves, conveyor belts, and elevators. This stability ensures that goods can be handled more efficiently at individual workstations, despite the wide bandwidth requirements. 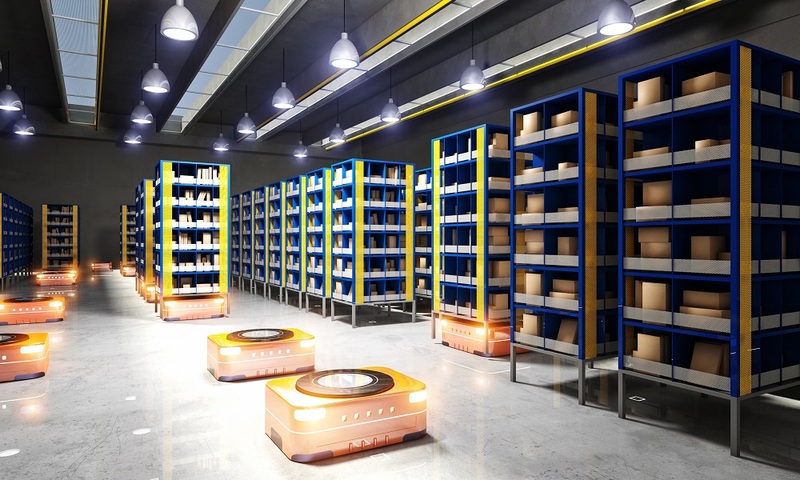 A high level of anti-interference capability was also critical for the warehouse's Wi-Fi network, because this would be essential to ensuring the smooth operation of AGVs. 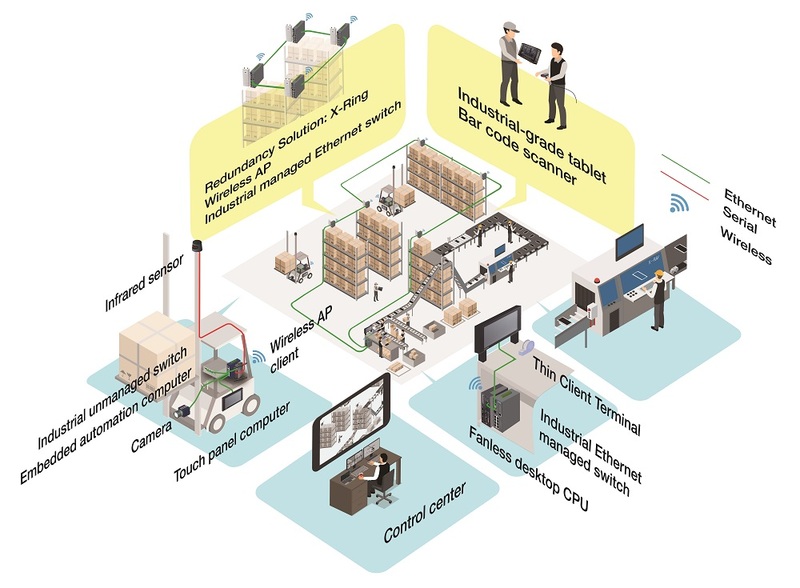 To fulfill this need, EKI-6332 2.4G industrial Wi-Fi access points were utilized for easy connection to the EKI-7710 switches. This enabled staff to operate the AGVs wirelessly to move shelves to the assigned workstation. 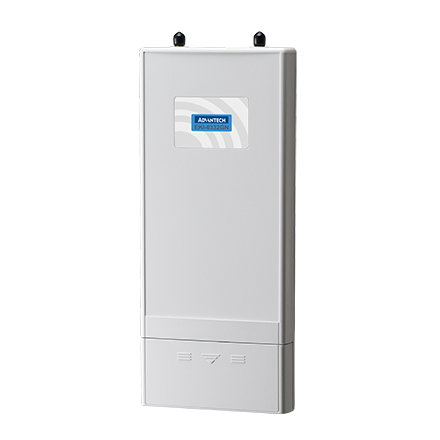 The proposal forwarded by Advantech helped the customer to build up a more comprehensive and reliable network backbone to improve their logistics service. 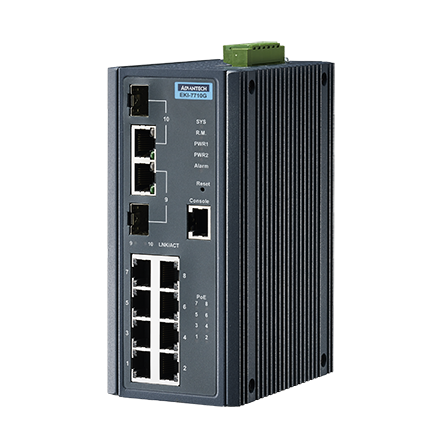 The EKI-5525/I and EKI-5528/I are the world’s first convergence switches for process control and IT networking management. This series uses Modbus/TCP to communicate with the SCADA software and SNMP to communicate with the NMS (Networking Management System) at the same time, thereby allowing full read control over the devices either for control engineers or for IT. The devices come with the Port-based QoS for deterministic data transmission allows the priority ports to prioritize the traffic coming over those ports and delay the less immediately necessary data over the remaining ports. EKI-5525/I and EKI-5528/I switches use the highest quality components, to enable the range to operate in temperatures of between -40 and 75°C along with Level 3 EMS protection to repel electromagnetic interface for industrial resistance.